ITBP New Medical Officer Recruitment 2019, ITBP MO Online Form 2019: Hello fells, This morning I am here to share a good news with you Guys! 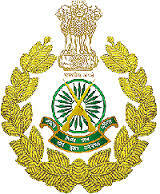 Yes Today the Indo Tibetan Police (ITBP) Are invited to Online Application Form for the Post of Medical Officer. Those Medical Degree candidates are interested to the following Recruitment and Completed the All Education and Physical Eligibility Criteria can read the full Notification and Apply Online. No. of Post: 04 Nos. No. of Post: 175 Nos. No. of Post: 317 Nos. Age Limit: The age limit for recruitment of Super Specialist Medical Officers (Second-in-Command) should not be exceeding 50 years as on the closing date of receipt of application. Latest Good News for You ! Payment Mode: Pay the exam fees through Online or Offline Fee Mode only. Eligible and interested candidates may apply online through the ITBP Official website https://www.itbpolice.nic.in/ from 02/04/2019 to 01/05/2019.